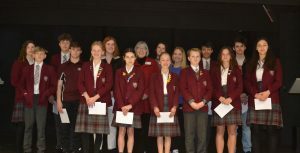 Two students from Our Lady of Sion have been awarded first place in The Rotary Club of Worthing Young Writers Competition. 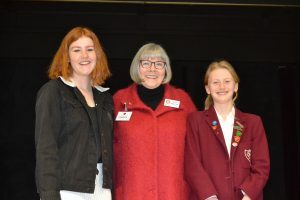 Izzie (Year 12) won the Senior Category and Flora (Year 8) won the Intermediate Category. 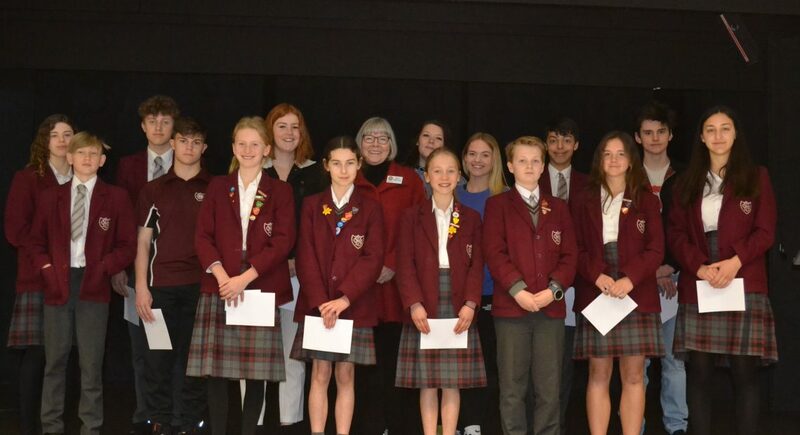 Sion was delighted to welcome Nicky Babbage-Clark from The Rotary Club to present their prizes along with certificates to all the other students who took part. Augustas (Year 9) and Dan (Year 12) were also awarded Highly Commended for the same categories. Izzie and Flora’s entries have now been put forward to the Regional competition.